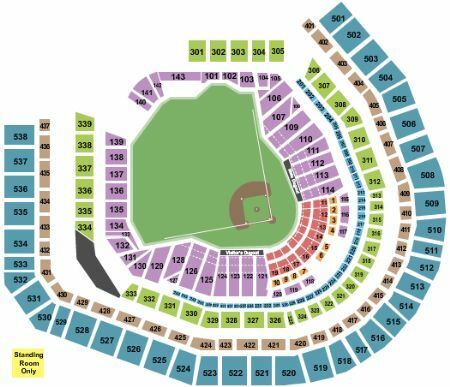 New York Mets vs. Arizona Diamondbacks Tickets - 9/10/2019 - Citi Field in Flushing at Stub.com! Mobile Entry Tickets. Must have smart device on hand to enter event. Do not print these tickets. Tickets will be ready for delivery by Sep 08, 2019. Fourth row in this section. XFER Mobile Entry. Scan your tickets from your mobile phone for this event. Tickets will be ready for delivery by Sep 06, 2019. Tickets will be ready for delivery by Apr 30, 2019. Aisle Seats. Second row in this section. XFER Mobile Entry. Scan your tickets from your mobile phone for this event. Tickets will be ready for delivery by Sep 06, 2019. Third row in this section. XFER Mobile Entry. Scan your tickets from your mobile phone for this event. Tickets will be ready for delivery by Sep 06, 2019. First row in this section. Tickets will be ready for delivery by Sep 09, 2019. First row in this section. Tickets will be ready for delivery by Sep 06, 2019. Tickets will be ready for delivery by Sep 06, 2019. Fourth row in this section. Tickets will be ready for delivery by Sep 06, 2019. Third row in this section. Tickets will be ready for delivery by Sep 06, 2019. Second row in this section. XFER Mobile Entry. Scan your tickets from your mobile phone for this event. Tickets will be ready for delivery by Sep 06, 2019. Eighth row in this section. XFER Mobile Entry. Scan your tickets from your mobile phone for this event. Tickets will be ready for delivery by Sep 06, 2019. Mobile Entry Tickets. Must have smart device on hand to enter event. Do not print these tickets. Tickets will be ready for delivery by Sep 06, 2019. These seats are on the aisle with purchase of the entire group. Tickets will be ready for delivery by Sep 07, 2019. Aisle Seats. XFER Mobile Entry. Scan your tickets from your mobile phone for this event. Tickets will be ready for delivery by Sep 06, 2019. Does not include admission to event. Tickets will be ready for delivery by Sep 06, 2019. XFER Mobile Entry. Scan your tickets from your mobile phone for this event. Tickets will be ready for delivery by Sep 06, 2019. First row in this section. Includes access to Jim Beam Highball Club. MobileQR Entry. Scan your tickets from your mobile phone for this event. Do not print these tickets. Tickets will be ready for delivery by Sep 06, 2019. ADA accessible these tickets allow for wheelchair access. Tickets will be ready for delivery by Sep 09, 2019.